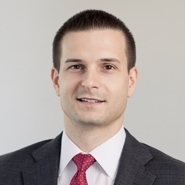 Goulston & Storrs is pleased to announce that Daniel J. Valenti has joined the firm’s Real Estate Group as an Associate in New York. Dan focuses his practice on real estate joint ventures, mortgage and mezzanine financing, acquisitions and dispositions of real property and debt, sale-leasebacks, workouts and leasing. Prior to joining Goulston & Storrs, he was an Associate at Schulte Roth & Zabel. Dan received his B.A. from City University of New York at Baruch College, and his J.D. from St. John’s University School of Law. He is a member of the New York State and New York City Bar Associations.